IIHS Top Safety Pick. Only 34,262 Miles! Boasts 23 Highway MPG and 18 City MPG! This Ford F-150 delivers a Twin Turbo Regular Unleaded V-6 2.7 L/164 engine powering this Automatic transmission. Wheels: 17 Silver Painted Aluminum, Variable intermittent wipers, Urethane Gear Shift Knob. *This Ford F-150 Comes Equipped with These Options *Transmission: Electronic 6-Speed Automatic -inc: tow/haul mode, Towing Equipment -inc: Harness and Trailer Sway Control, Tires: P265/70R17 OWL A/T -inc: OWL A/T spare tire, Tire Specific Low Tire Pressure Warning, Tailgate/Rear Door Lock Included w/Power Door Locks, Tailgate Rear Cargo Access, SYNC Voice Recognition Communications -inc: Enhanced voice recognition communication and entertainment system, 911 assist, 4.2 LCD display in center stack, Applink, 1 smart charging USB port and auxiliary audio input jack, Compass display in instrument cluster, Steel Spare Wheel, Single Stainless Steel Exhaust, Side Impact Beams. * This Ford F-150 is a Superstar! *IIHS Top Safety Pick, NACTOY 2015 North American Truck of the Year, Green Car Journal 2015 Green Car Technology Award, KBB.com Brand Image Awards. * The Experts' Verdict...*As reported by KBB.com: The all-new F-150 offers best-in-class towing and payload capacity, plus smaller displacement engines with impressive fuel economy. It's built for hard work, yet has a quiet cabin filled with modern luxury amenities. 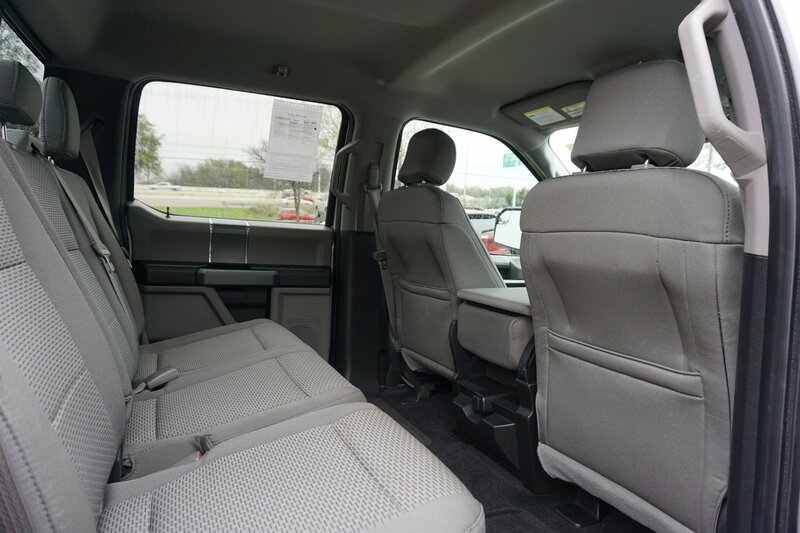 It has a wide offering of cabs, engines, trim levels and interiors. *Visit Us Today*If you have any questions or would like to schedule a test drive please feel free to contact me, Cory Covert, via email or at 512-583-3411 or visit us at 11750 Research Blvd Austin, TX 78759. Come see why we here at Covert Buick GMC Austin have been in business for 110 years and counting, and providing Texas with a superb selection. and exceptional customer service! Se Habla Español.